Fans of high school sports will notice their favorite teams look a little bit different on the playing fields this year. HOULTON, Maine — Fans of high school sports will notice their favorite teams look a little bit different on the playing fields this year. Under a new rule from the National Federation of State High School Associations, high schools are now required to swap their home and away jerseys. Traditionally, in Maine, home teams would wear white as their “home” uniform and a solid color based on their school colors for away games. That process has now been swapped, with white being designated solely as the “away” color. Houlton is one of those schools who, in recent years during soccer season, has requested to wear pink for a game in support of cancer patients. It also better aligns highs schools with how many professional and collegiate teams wear their uniforms. “I also like the fact that teams get to now wear their primary school color at home,” Tweedie added. Southern Aroostook Athletic Director Cliff Urquhart said that while he is more of a traditionalist, he can see the reasons behind the change. Katahdin Athletic Director Dylan Harris, who also coaches the varsity boys soccer team, said he likes the change. 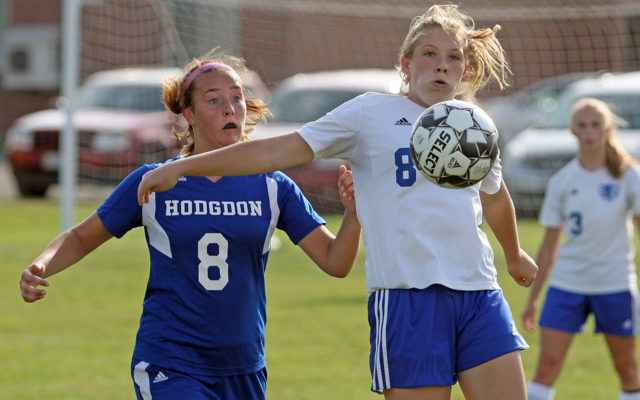 Hodgdon boys soccer coach Jason Little said the biggest issue has been getting players to remember which color shirt to bring for home and away games.